My wife and I recently stopped for lunch at Café Zupas, part of an exploding chain of “fast-casual” restaurants that started in Provo, Utah in 2004. While my wife enjoyed the tasty cuisine and carried on a one-sided conversation, I drifted into another dimension (a place familiar to the Systems Thinker) where motion slows and details become crystal clear, a place where you see things not visible to others. With the amplified power of Systems Thinking, I observed the intricate “ecosystem” of Café Zupas’ business operation. “We’re obsessed with Soup, Salads, Sandwiches and Desserts. We’ve searched the world for just the right recipes, with just the right ingredients. It’s all about culture, tradition and ancestry. And it’s about artistry. Perfection is made from scratch; it’s fresh, homemade and unique. Let our passion for taste and texture be your invitation to join the Zupas obsession." The sign on the wall also reveals that these budding restaurateurs began by “searching the world over for just the right recipes, with just the right ingredients.” The concept of recipes is profoundly important for everyone trying to start and grow a successful business enterprise, including YOU! Each recipe they found in their search is a unique system of ingredients and instructions for preparing or processing the food. Every dish is made with exactness, and the end-result is a culinary sensation. Combined, these distinctive and exclusive recipes are the basis for a winning business model. For example, you might enjoy a Wisconsin Cauliflower soup, a Glazed Chicken Chipotle salad, or a Turkey Spinach Artichoke sandwich. For desert, you’ll die for the Triberry Cheesecake or the Chocolate Hazelnut Crème Brûlée. A recipe is nothing more than a formula for creating something wonderful—repeatedly—with the same customer-pleasing result. (People are lined up at Café Zupas every time we go). When music artists develop their own sound, and people buy their songs, they have a winning recipe that can last for decades. The same goes for movie themes such as Marvel Comics or James Bond. In our free-market system, recipes that aren’t popular, will not endure. So, maybe you don’t think that creating popular recipes applies to your business. Think again! A local landscaper has a package deal for lawn maintenance, and he installs a water feature his customers love—both recipes. A sign maker displays her unique recipe for signage (style, color, fonts, etc.) that generates a stack of orders and referrals. A home builder shows eight floor plans in his catalog. He keeps the best sellers, drops the slow sellers, and adds new floor-plan “recipes" each year. Like pizza toppings, or sandwich fillings, customers choose the “ingredients” they want for their new home—paint color, carpet, counter tops, and so forth. When I was young, my family had a business that manufactured framed art. We created a design theme called “Silhouettes” that featured black trees, sail boats, or other illustrations printed on glass and set against a beautiful sunset background that was recessed in the wood picture frame. The phone rang non-stop for two years. Our retail customers couldn’t keep them in the stores. As a product, it was a winning recipe, eventually copied by some of our competitors. Recipes are all about your ability to create a remarkable product or service that folks will line up for. It’s the combination of ingredients and process (e.g., message, presentation, pricing, guarantee, return merchandise policy, courtesy and knowledge of employees, store cleanliness, delivery time, and so forth) that make the recipe unique and better than your competition. When you follow the precise instructions to make a chocolate cake, you get the same result every time. However, we probably agree that not all chocolate cakes are alike. Have you tried “Death by Chocolate” or ”Chocolate Thunder?” A simple recipe enhancement can make all the difference. The same holds true with your recipe for generating sales leads, hiring the best people, delivering customer service, or fulfilling orders. A little change in ingredients or procedure can give a far-superior result. A business system or process—whether in the store, the office, or the workshop—is merely a proven recipe to get things done in a specific, pre-determined and consistent way. Systems are governed by the Law of Cause and Effect; things happen for a reason. The effect or result of a business process is determined by the ingredients used, and the procedure followed. Correctly designed, your business systems support the mission, strategy, and goals of your organization. While people may come and go, the successful recipes you have created remain constant. Furthermore, the better your recipes, the more customer loyalty, profitability, and growth you will enjoy! In short, your entire business is made up of systems and processes—recipes—that can be managed and improved. By applying correct principles, which include just the right ingredients and precise steps, your systems will produce desired results every time. There is no other way! Cubby’s, Costa Vida, Arby’s, Subway, Studio Pizza, Smash Burger, Zaxby’s, McDonald’s, Del Taco and a dozen other fast-food restaurants are close to my home. Each developed their own recipes for remarkable business systems and processes that began as a “franchise prototype” (Michael Gerber, E-Myth Revisited). Whether you replicate your business or not, a systemized operation will put more money in your pocket, enable others to run the company when you’re not around, and prepare you to one day sell the business for top dollar—all the things you expect from your financial investment and hard work. What Sets Café Zupas Apart? Let’s go back to Café Zupas. They have attractive, well-run, and efficient stores, but there is more to the story. From their website, store signs, and printed menu, the System Thinker gets a glimpse into the underlying cause of their excellent reputation and popularity. Below are some phrases I see in their marketing copy. I have italicized elements of their strategy, business model, and distinctive recipe for success. Have you thought about your offering in this kind of detail? Are you communicating it well? What is your “sensory package” to attract and retain customers—words, colors, logo, printed materials, signage, sound, touch, smell, or taste? Do you see how every repeated thing you do is a recipe or system to get a consistently desirable result? Café Zupas’ website, store layout, menu, and thank-you chocolate strawberry, are all elements of their business systems and processes. YOUR company should promote similar features and benefits! In my continued out-of-body experience, I’m hovering over my wife as she tries to engage with my empty shell. Looking around, I observe dozens of smiling patrons and engaged workers. I wonder what they are really thinking about their experience at Café Zupas. I wonder if things are as rosy as they appear. We have peeked into Zupas’ business strategy and their recipe for a business model, but let’s dig a little deeper to see how they are doing with their other business systems and processes—those you may have in common. Consider with me what patrons are saying online. Most of the hundred customer reviews I read were very positive—4 to 5 star ratings. The owners should be very gratified. I have noted below some suggestions that point to the company’s business systems, followed by my comments as a Systems Thinker (italics added for emphasis). “This place earns its stars from me because of its many options and great value! The other thing I appreciate about this place is its well thought out, they even have a charging station with USB inputs so you can charge your phone. WHY DONT ALL PLACES HAVE THIS!?!?" (Ron’s comment: There are lots of menu options to please everyone; unlimited food combinations from a limited number of ingredients keep customer satisfaction up and cost down; USB ports for charging show they care about the little things (like the “thank you” chocolate-covered strawberry). Every customer YOU have could write reviews like those above. Your customers or clients have very specific feelings about the way you do business, about the way you treat them, and about your unique business “recipes.” Some customers don’t return, and you’ll never know why. Other customers come back often, and you should know why. To be successful, systemize every good thing you want to have happen—what you want your employees to do, what you want your customers to experience. There is no other way! Now let’s get some insight based upon what employees of Café Zupas have to say. Keep in mind that the comments made below often reflect a single store. However, when you see repeated issues, there may be a good reason to evaluate one or more business practices—your systems or processes (italics added for emphasis). “Tons of coworkers all around the same age (Ron: a result of the hiring system) makes for a fun work environment (the company culture). Half off food discount. Decent pay 8.50 starting (compensation system). Before opening there is a meeting daily where you can discuss anything. It is great to keep things running smoothly (communication and business improvement system). Do YOUR employees enjoy coming to work or do they dread the thought? Do managers or workers experience frequent frustration? Are some, even now, looking for another job? As previously mentioned, it’s not easy to keep people happy, but you can develop enthusiasm, productivity, and loyalty by incorporating the right principles into your business systems and processes (see eCourse). Every business has an ecosystem that supports the life and success of the enterprise. Is your ecosystem like Earth or like Mars? 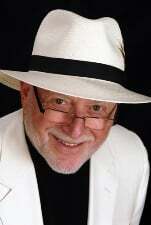 Your business as a whole is a recipe, a “franchise prototype” as Michael Gerber refers to it (E-Myth Revisited). Have you learned the Master Skill for creating a winning business model that works well even when you’re not around, or that can be replicated in other markets? Every business has “recipes”—systems and processes—for pleasing customers and delivering products and services. Those recipes can be unique, wonderful, and attention-getting, or they can be lackluster, commonplace, and uninspiring. Do you have a world-class recipe for attracting new customers, hiring the best people, or providing “killer customer care”? What is your “sensory package” to draw people like a magnet? What would patrons say about the look and feel of your operation? Is it inviting, clean, and organized? Does it shine? What are you doing to WOW customers? What is your unique business advantage and value proposition? Do your customers know it? Is there a buzz in the marketplace about your company? Are the ingredients—the component parts—of your recipes the best you can make them? Many businesses have missing or poor-quality ingredients (e.g., forms, checklists, ad copy, signage, websites, software, equipment, people, and so forth). In today’s business environment, many companies are rated online. The brutal facts are in plain sight. Out of curiosity, how many items do YOU buy that are 3 stars? A 4-star rating is pretty much my bottom; 4 1/2 to 5 stars is preferred. I care about what other customers say, especially if there is a pattern. What could I read online about your business? Are you using the feedback to drill-down on faulty busy systems and processes and make the necessary course corrections? If business processes frustrate customers or employees, they will eventually go somewhere else. Improve your processes if you can. If you can’t change some of the things you are doing, listen and carefully explain the reasons why (e.g., compensation limits, work schedules, product return policies). Invite suggestions, and treat people with respect. Knowing that you value their opinion is 90% of the battle. The business culture you create is significant. Business guru Peter Drucker said that “culture trumps strategy every time. Is your business culture helping you succeed? Some little things that matter a lot: Keep the restrooms clean. Make payroll on time. Recognize and reward value given. Keep promises. Resolve problems quickly. Offer good training. Listen to your customers, including employees. Manage by the numbers. Lead with humility, respect and kindness (You could name others). System Thinking raises the details of your business operation from the sub-conscience to the conscious, making problems crystal clear and solutions apparent. Once you go there, you will never go back. 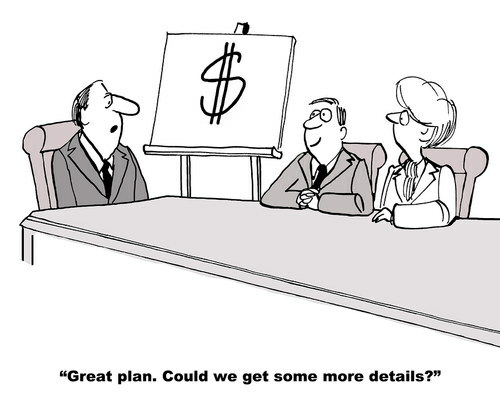 Attention to details and low-cost improvements can make your business remarkable. “Ron, are you listening to me. Have you heard a word I’ve said,” my beautiful, sweet, awesome companion blurts out while waving her hand to get my attention? "Oh, sure, honey,” I instinctively reply as I do a soft landing back to reality. “I was just thinking about…. Oh, never mind." "I use to love Zupas but now I feel like I am paying for barely any food." "I ordered two (full) BBQ chicken salads today it was terrible!" "I ended up getting two half salads with nothing but lettuce and sauce." Oopsie! Could this be the sign of a system breakdown (at least at one store)? Trust me. It can happen to anyone—even YOU (Learn how to fix a system breakdown, and 10 reasons why business systems fail). Starting a new business is both exhilarating and downright scary. Every new business owner has a story to tell about the early days. When I was a young man, my father sadly passed away of cancer at age forty-one. He had a life-insurance policy of $30,000. My mother felt he would want my brother and me to have this money for a new business venture we were considering. Craig and I were pretty naïve back then and did not realize how likely it was we would lose it all. Fortunately, our startup manufacturing business landed a big customer and could leverage that income to get the ball rolling. However, Craig and I were not only youthful and naive about the perils of starting a new business, but we were clueless about how to create a fully-functioning and profitable business operation. We jumped in, started making and shipping products, and enjoyed a short honeymoon. Then the harsh day-to-day business realities began to settle in. Craig and I didn’t understand the importance of creating business systems, or the underlying principles for making them efficient and effective (8 Characteristics of Good Business Systems). We spent our day putting out fires and stumbling around to improve the operation. Eventually, some rudimentary systems emerged, and we began to learn how to play the “game of business” (see Grade Your Business Systems). As a new enterprise—one that expects to have people, products and processes—you must give attention to creating fundamental business systems and processes such as those described below. 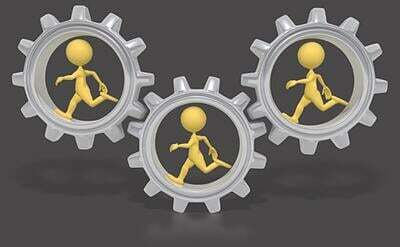 Some should be developed before the business roll-out, while others can be created and refined during the first year. Systems to Improve the Business: product/service development, business systems development, business improvement workshops. Getting off to a good start with effective business systems and processes will produce consistency, confidence, and accelerated sales growth; it will put you on the fast-track to earning your first profit. Starting and running a new business is high-risk. You have to work on the business as much as you work in the business (Michel Gerber, “E-Myth Revisited”). That means creating effective, efficient and even exceptional business systems and processes. Don’t do it like I did. Do it right, and right from the beginning. 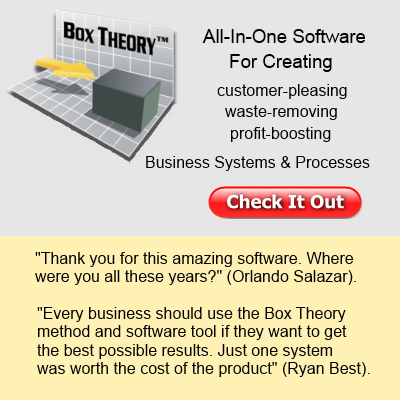 Quite frankly, the Box Theory™ Way—the methodology and software—is the best tool available for business startups. It will get you organized, develop your Systems Thinking skills, and help you learn the Master Skill for creating growth-producing, customer-pleasing, waste-removing, profit-boosting business systems and processes. And, it will pay for itself almost immediately! Please take a minute and check out the Box Theory™ Products. It may be the most important thing you do today. And One More Thing: Don’t become one of the dismal statistics that describe the failure of most business startups. Even good business systems and processes won’t save a company with low market demand, insufficient working capital or profit margins, superior competition, an undifferentiated strategy or value proposition, difficulty reaching the target market, or ineffective management. 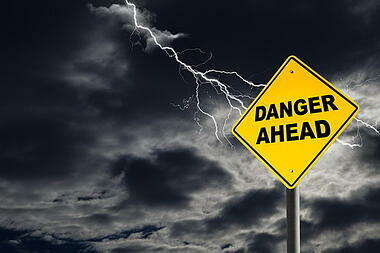 These conditions—if not remedied—can kill a new business, so proceed with caution! In the Zone you are flooded with inspiration and ideas to improve your business. You have a vision of what the business is going to look like when it is "finished." You have written down specific goals. You are now ready to take steps to grow the perfect business. This is where the real fun begins. As you look at your business through a microscope, you see it is made up of systems and subsystems. You realize that smooth-running systems create a smooth-running business. You conclude that your business will operate best when there is harmonious and orderly interaction between its vital systems. Business systems are the building blocks for creating the perfect business, one that runs itself efficiently and profitably. Let's explore this further. "My cash flow is stressing me out." "I can't seem to hire good people." "I don't get enough sales leads." These undesirable patterns can be eliminated by simply installing effective business systems. Systems are the logical and practical solutions to your business problems and they are just waiting to be discovered. 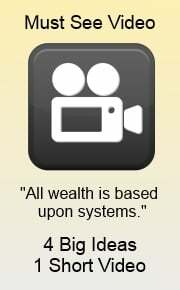 What exactly is a system? An effective system is a procedure, process, method, or course of action that produces a consistent and measurable result. Every business has informal systems but that informality is the reason for much of the inefficiency and frustration. Pricing systems, hiring systems, lead generation systems, quality control systems, and every other loosey-goosey, informal system can change with the whims of people and will not consistently produce the desired outcome. When systems are set up properly and well documented, they remove all of the guesswork and deliver a specific, measurable result every time. Effective systems also enable the business to run itself profitably without the hands-on involvement of the business owner. Businesses often struggle with profit margins when there is continuous change in the delivery of products or services. Routine systems and procedures enhance profitability. Once the system is defined, money is made when ordinary people learn to do it fast and do it well. Generalized solutions, seat-of-the-pants operations, "human nature," and everything left to chance is replaced with detailed procedures, performance standards, and accountability. Technology, as painful as it often is, can be a great ally. The organization chart, which visually describes the structure, leadership, and relationships within the organization, is the most fundamental business system. All other systems fall somewhere within the specified job functions on this organizational chart. For example, a lead generation system would fall under the job function of "marketing." Good business systems increase efficiency, accomplish objectives, and give customers what they want every single time. They are the solution to frustrations, wasted resources, poor performance, and other business problems. While the right people are critical to an organization, a mature business has fully-developed systems and is systems-dependent rather than people-dependent. The time and cost to create a system is repaid many times over. Systems must be simple, in writing, and easily understood by operators to be effective. Many systems are no more than a form or a checklist. Some are more complex. Systems are often modified and improved, but always provide the best-known way of getting the job done. 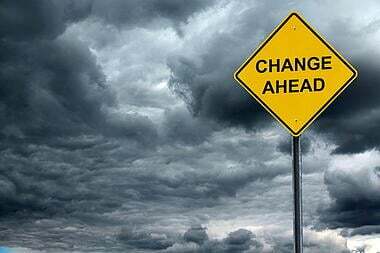 Remember, all new systems require owners and employees to have the "will" to implement change and stick with the new method of doing things. There are three stages to developing an effective system. Stage 1 - Design the System. Identify from business information, personal frustration, or customer dissatisfaction the areas of the business that need improvement. Defining the problem and its causes will often point to the system solution. Describe what the new system will look like and what effect it will have on the organization. Estimate the costs and benefits of the new system and decide if you have the "will" (time, financial resources, and determination) to see the development process through to completion. Stage 2 - Develop the System. Innovate new procedures, processes, or methods to solve problems and accomplish objectives. Innovations are the "best-known way of doing things" and should be simple, repeatable, and customer-driven. The completed system should contain all definitions, policies, detailed procedures, forms, management reports, and every component necessary for an employee to operate the system with exactness. For a business system to be effective, it must be documented! Stage 3 - Deploy the System. Implement the documented system. Eliminate employee discretion, "the enemy of order, standardization and quality" (Theodore Levitt, Marketing For Business Growth). Perform the task or procedure the same way every time, or until innovation improves it. Measure the impact of each system innovation on your business and its effectiveness over time. Assign clear responsibility and accountability for the performance of the system. This sounds like a lot of work. It is! But it is the essential process for growing the perfect business. Some systems will take hours, some days, and some weeks to implement. You'll have a dozen or so critical systems and many small subsystems. Accounting and marketing are the two granddaddy systems that drive the business. If you spend regular time in the Zone, you will get the task accomplished sooner than you might imagine. When you think about it, this is why you got into business in the first place — to build a business that you could sell, franchise, or hire someone to run for you. A business built on systems is the only way to do it. Each system in place is one more step toward a business that works profitably and leads you to financial and personal freedom. Become a Systems Thinker. Step back and look at your business as a world of integrated systems. Identify weaknesses. Get in the Zone and start designing new or improved systems today! Once you begin Systems Thinking, ideas will flow into your mind 24/7. Have a notebook to write them down. Becoming an expert at developing effective business systems and processes will put more money in your pocket than anything else you can do—PERIOD!” Let me share with you four BIG IDEAS that will greatly improve your business performance, including customer loyalty, profitability, and growth. Business systems and processes are the essential building blocks of your organization—the better your systems the better your business. In fact, there is no other way to build a remarkable company! Systems are the means to carry out every business function, including lead generation, sales, customer care, order-fulfillment, hiring, and many others unique to your company. 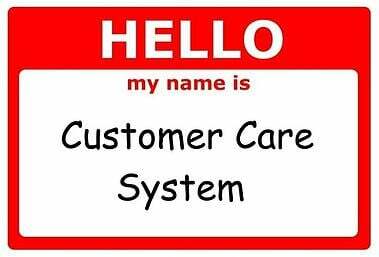 The primary purpose of these business systems is to help you find and keep customers, eliminate inefficiency and waste, and make you stand out in your target market like “a purple cow in a field of brown cows” (Seth Godin). Your business will prosper to the degree you become an expert at creating effective systems and processes. Systems Thinking will empower you to see the world and your business in a profoundly different way. It will raise your business I.Q. by 80 points—OVERNIGHT! As a Systems Thinker, you will get a vividly clear view of the “nuts and bolts” of your organization—what’s working and what’s not. By focusing on Cause and Effect, Systems Thinking will magnify the details of your operation, revealing the root-cause of problems and transparent solutions. Your business frustrations will be viewed through a logical lens rather than an emotional lens. You will learn to resolve problems and make decisions systematically. When you begin Systems Thinking, you’re going to have an Ah-Ha Moment. From that point on, you’ll never look at your business the same way again. Creating high-performance business systems and processes is the Master Skill of the entrepreneur. No other endeavor will remove more problems and pain, or put more money in your pocket. Good business systems are the solution to all your operational challenges—weak sales growth, dissatisfied customers, waste and inefficiency, under-performing employees, poor cash flow, and low profit margins. Whether in the store, the workshop or the office, you can manage and improve your business processes by applying correct principles. Now, here comes a rather bold statement. The ability to create effective business systems and processes is the most important skill you can acquire. Every business function—marketing, finance, and operations—requires this expertise. And the real value of your business comes when your systems consistently get good results—when they make your company money day-in and day-out, even when you’re not around. 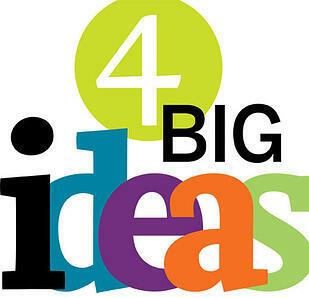 OK, I’ll admit it, there’s a little self-interest in the final BIG IDEA, so bear with me. The Box Theory™ Way is a ground-breaking system for you to create growth-producing, customer-pleasing, waste-removing, profit-boosting business systems and processes. Just imagine having a business culture of discipline and excellence that runs on autopilot. The Box Theory™ Way is a method that breaks your business functions down to manageable systems or “boxes.” The method is easy, intuitive, and even fun. It includes some amazing principles of business process management (BPM) such as Six Sigma, Lean Thinking, and the Theory of Constraints. What’s more, The Box Theory™ Way is incorporated into a ground-breaking software tool that empowers you to design, create, manage, document, store and print everything pertaining to your business systems and processes—sort of like a QuickBooks, but for business systems. Box Theory™ Software was created specifically for owners and managers of small to mid-sized businesses—YOU! A few years ago, I was in the lobby of a hospital waiting for a grandchild to be born. I noticed a sign on the wall that read: "The major work of the world is not done by geniuses. 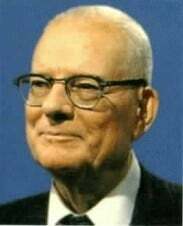 It is done by ordinary people who have learned to work in an extraordinary manner" (American Fork Hospital, 3/29/2008). Well, I’m not a genius. Most of us aren’t. And much of what we do is pretty ordinary. However, learning the art and science of Systems Thinking and how to build effective business systems will enable you to “work in an extraordinary manner.” As I said before, it will put more money in your pocket than anything else you can do. After all my children left the nest, my wife and I decided to build a smaller home at Thanksgiving Point, Utah. Everyone knows that building a house can be a painful process. Like all customers, I was primarily interested in four things—quality, speed, value, and a pleasurable buying experience. Following our move-in, I had a casual conversation with some of my new neighbors. We talked about our home-building experience. The consensus was that the builder deserved a grade of “B.” He could have easily gotten an “A” (and also put more money in his pocket), if he just applied a little Systems Thinking. I tried to offer some constructive ideas along the way. However, the builder always gave me a polite nod and continued doing things as before. He was not interested in listening to the “voice of the customer"—ME! The builder’s major weakness was related to quality issues. Below are a few examples of needless waste that could have been eliminated with some simple system improvements. The builder ordered the wrong size door for a closet. It was returned. The replacement door was the right size but opened the wrong direction. It was returned again. The third door had the wrong style hinges. Finally, the right door arrived. The carpenter, of course, had to make a special trip back to hang the door, and the painter had to come again to paint it. The subcontractor who poured the driveway forgot to lay a sprinkler pipe under the concrete. The landscape company had to run two pipes and electrical wire three-hundred feet around the house to get to the other side of the driveway, just twenty-five feet away. After the footings and foundation walls were poured, Eric, the project foreman, told us we were on a thirty-nine-day schedule to completion and move-in. I calculated the date in my mind and thought he could never do it. To my surprise, the house was finished exactly on time. He gets an “A” for speed! Our real estate agent was great, and Eric the foreman was a gem. He did everything possible to solve problems and keep us happy. He was patient, diligent, accessible, and easy to work with. Eric made all the difference! So, you can see, the builder did a pretty good job. His quality problems—with the accompanying waste of time and materials—could largely be eliminated if he were to provide a specific “builder’s checklist” to each of the twenty or so subcontractors hired to work on the house. For example, the checklist for the concrete subcontractor might include: 1) Put expansion joints every ten feet, 2) Lay three-quarter inch sprinkler pipe under the driveway before pouring, and 3) Clean concrete splatter from house siding, door threshold, etc. A signed checklist submitted with the vendor invoice keeps everyone informed that the task was completed as expected. This simple but important step added to the process will also prevent subcontractors from being victims of their own slip-ups. Everyone comes out ahead! Let's be honest. Not all mistakes can be eliminated. However, good business systems will avoid the most common and repeated ones. You should strive to be at least a 4 Sigma company, as well as better, faster and cheaper than your competition. How Would Customer's Grade Your Company? Eric didn’t ask, but I am going to write him a letter of reference. He was an outstanding foreman and a great asset to his employer. Good things happen when companies listen and build upon the voice of the customer to create a culture of excellence. Are you listening? What grade would your customers give you? If you don't know, maybe you should ask them!